NASA’s Commercial Crew Program wants you to help draw our future in space exploration! We are looking for your artistic vision for this year’s 12 categories, ranging from rockets to experiments in space, and Florida Space Coast launches to NASA’s journey to Mars. Can you help? We are producing our 2016 calendar in a few weeks and we need your drawings to fill its pages. 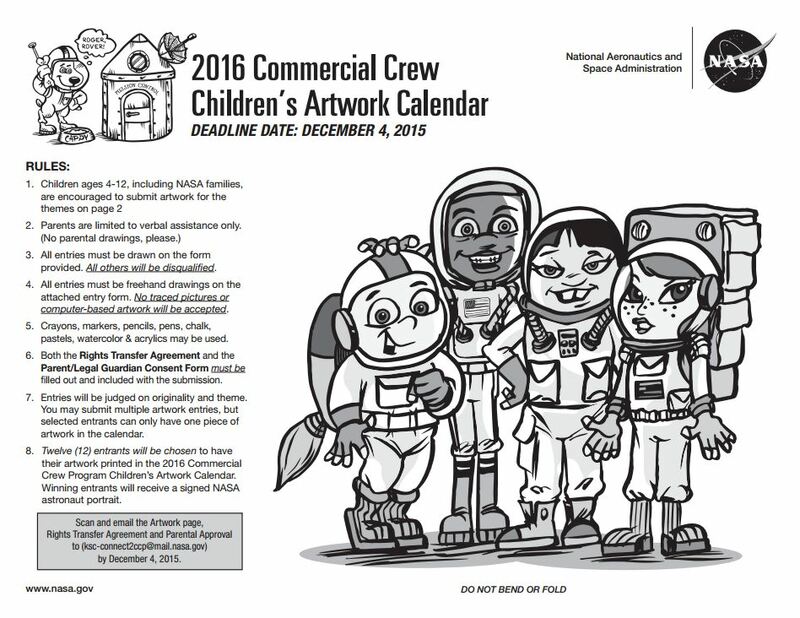 Children ages 4-12, regardless of NASA affiliation, can submit their artwork. Selections may be featured on the Commercial Crew website! Astronauts: NASA’s astronauts have many skills and experiences that make them perfect for the variety of jobs they do both in space and on the ground. During their careers, astronauts could pilot a spacecraft, run experiments on the International Space Station, train new astronauts and even help guide other astronauts through challenging work in space from Earth. What job would you want to do if you were an astronaut? Rockets: The commercial crew rockets that will carry astronauts to the International Space Station will be smaller than NASA’s Space Launch System rocket, as well as the agency’s previous Saturn V and space shuttle systems. Their missions are different, so their designs are different. Think of it like riding your bike to see your next door neighbor. You would ride a bike to see your neighbor, but you would take a bus to travel across the country. Let’s see your best rocket drawing! Spacecraft: Spacecraft carrying astronauts are stacked on top of rockets before launching them into space. Orion is the first spacecraft since Apollo that NASA has built with an eye on distant worlds. NASA’s Space Launch System rocket and Orion spacecraft, now in development, will enable humans to reach asteroids beyond lunar orbit, Mars and other potential destinations. At the same time, the space agency is working with commercial companies to launch astronauts to the space station and return them home safely. 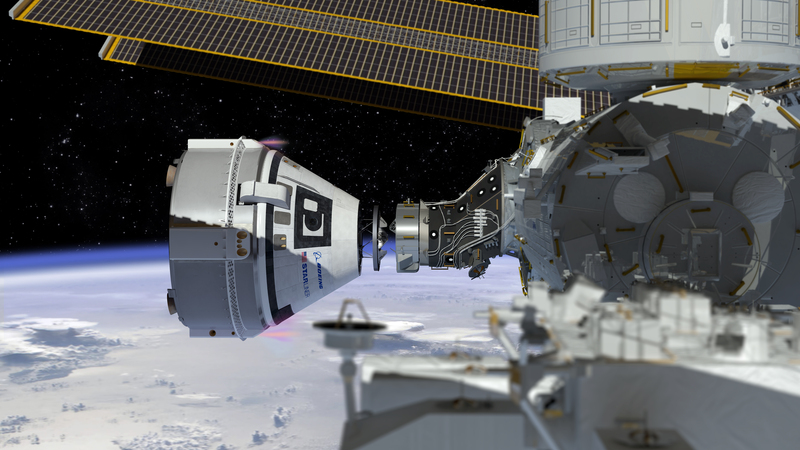 The commercial crew spacecraft astronauts will fly to the International Space Station—the SpaceX Crew Dragon and Boeing CST-100 Starliner—will be lightweight, but tough enough to withstand meteorites. What would your spacecraft look like? Spacecraft Interior: Every spacecraft’s interior has been unique and advanced for its time. In the past, NASA’s spaceships, which also are called spacecraft, had thousands of knobs and dials. Today’s spacecraft could feature tablet-like technology, parts like engines and seats that are printed on a machine called a 3-D printer, Wi-Fi and much more. What would you want inside your spacecraft? Spacesuits: An astronaut’s spacesuit is like his or her own personal spacecraft. Spacesuits keep astronauts safe by providing breathable air and keeping them warm and cool. Spacesuits also are pressurized like the inside of a flying airplane so that the astronauts are safe in space. Spacesuits allow the astronauts to be in constant communication with doctors and medical professionals who track their health here on the ground. Design your own spacesuit . . . think about ease of motion and what tools you’d need a suit to have outside the spacecraft. Florida Space Coast Launches: The rumble . . . the glow . . . the excitement! Every time NASA has launched people off the surface of Earth and into space, it has been from Florida’s Space Coast. In the next couple years, we will see commercial crew spacecraft rockets glow orange and make huge plumes of smoke as astronauts launch to the International Space Station from Florida. In the 2030s, we also will see astronauts launching from Florida’s Kennedy Space Center as they begin their journey to Mars. Draw who you plan to watch launches with… family, friends, perhaps Florida’s abundant wildlife. International Space Station: Look up! The International Space Station is orbiting about 250 miles above the surface of Earth, 24 hours a day, seven days a week, 365 days a year at 17,500 miles every hour. Aboard, astronauts conduct very important experiments that help us here on Earth. They also are learning how to live for long periods of time in space, which will help future astronauts on their journey to Mars. Commercial crew spacecraft will carry up to four crew members to the station so that even more experiments can be done! Show us your best drawing of the space station. Remember it’s the size of a football field! Experiments: Every day, astronauts perform experiments aboard the International Space Station, which is commercial crew’s destination in space. Those experiments make our lives better here on Earth, help us understand more about our own planet and space, and prepare us for missions to Mars. What kind of experiments would you do in space? Space Safety: Commercial crew spacecraft that will fly astronauts to the International Space Station are designed to keep astronauts safe throughout their entire mission. The spacecraft are designed to separate from a rocket, as well as safely and quickly carry the station’s crew back to Earth in an emergency. How would you keep a crew safe in space? Landing: Spacecraft landings are quite impressive. After flying through space and re-entering the atmosphere at 17,500 miles per hour, spacecraft have to land smoothly to protect the astronauts and science experiments they carry. 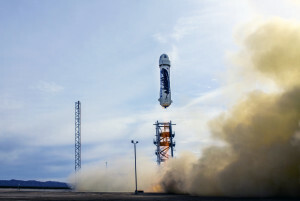 Commercial crew engineers are looking at different ways to land with parachutes and airbags, fly to a runway like an airplane, or land using only rocket engines. Show us what you think a spacecraft landing looks like. NASA’s Journey to Mars: NASA’s Space Launch System rocket will be the most powerful rocket ever built, designed to take astronauts to deep space, eventually even to Mars. At the same time, the experiments that astronauts are doing on the International Space Station help NASA understand what future astronauts will need to live on Mars. What do you think it will be like to live on Mars? to Earth. . . will you be one of them? Draw what you would do if you could fly to space. 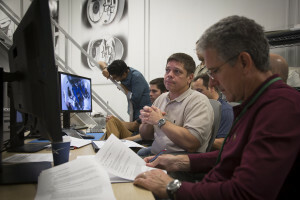 Work taking place in Sacramento, California, and Redmond, Washington, will offer a critical boost to Boeing’s CST-100 Starliner spacecraft as it heads to the International Space Station thanks to Aerojet Rocketdyne, which is producing the propulsion system for the Starliner’s service module and maneuvering jets. The main thrusters and system assembly originate in Sacramento, while the steering thrusters on the capsule are manufactured in Redmond. The thrusters also are crucial to the Starliner’s abort system that would ignite in the unlikely event of a launch pad emergency or during the climb into orbit. Each service module will include four 40,000-pound thrusters designed to push the spacecraft and its crew out of harm’s way. They’ll be integrated into the Starliner’s service module inside Boeing’s Commercial Crew and Cargo Processing Facility at NASA’s Kennedy Space Center in Florida prior to an uncrewed and then crew flight test to the space station. Read more here. This is the second in a series of four guaranteed orders NASA will make under the Commercial Crew Transportation Capability contracts. The Boeing Company of Houston received its first crew mission order in May. The next class of astronauts NASA hires may fly on any of four different U.S. vessels during their careers: the International Space Station, two commercial crew spacecraft currently in development – the Boeing CST-100 Starliner and the SpaceX Crew Dragon — and NASA’s Orion spacecraft that will launch aboard the Space Launch System with astronauts to conduct missions in deep space. SpaceX designed its Crew Dragon to accommodate technological advances in numerous ways to perform the mission of taking astronauts safely to the International Space Station. The launch abort system is integrated into the sidewall of the Crew Dragon. 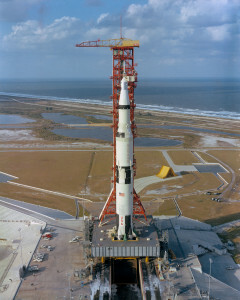 It boasts eight hypergolic-powered engines designed to lift the spacecraft and astronauts inside to safety at any point during launch and ascent. Inside the Crew Dragon, touchscreens replace the myriad of dials and barber poles that defined earlier spacecraft instrument panels. The company developed its cargo-transport version of the Dragon with an eye on carrying crews into space. SpaceX has used its experiences to refine the crew version and provide essential opportunities to automatically perform critical functions, such as rendezvous with the space station and flying through the atmosphere safely to come back home. If you think you have what it takes to fly this new generation of spacecraft, NASA will start taking applications Dec. 14 for its next astronaut class. The astronauts chosen for the next class of explorers will come in to the agency at a time when a new era of spacecraft crosses from design screens and test flights to operational missions. For the first time, there will be three spacecraft and rockets launching humans from Florida’s Space Coast: two commercial crew spacecraft currently in development by U.S. companies, and NASA’s Space Launch System rocket and Orion deep-space exploration vehicle. 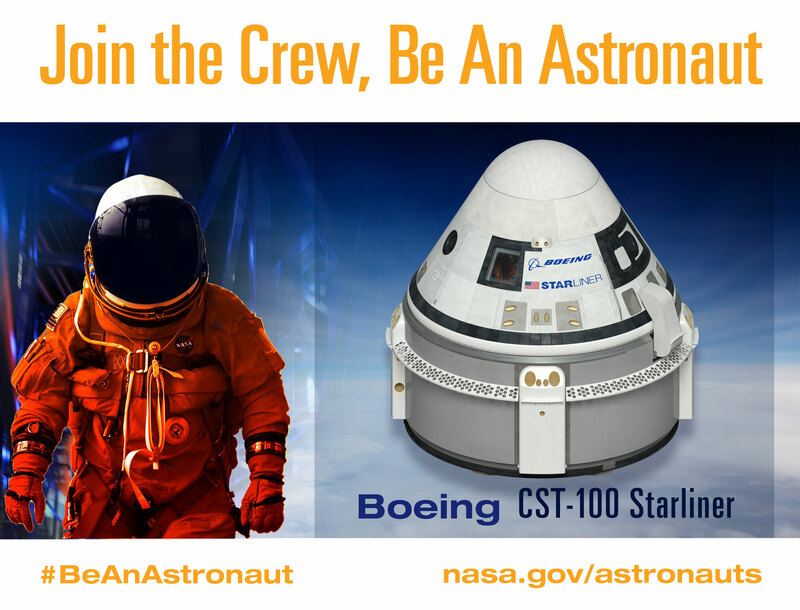 Today, we feature Boeing’s CST-100 Starliner, which along with the SpaceX Crew Dragon, is one of the two spacecraft under development in partnerships with NASA’s Commercial Crew Program to take astronauts to the International Space Station. Although it has a familiar shape, the new spacecraft is more advanced from top to bottom than anything that has flown to date. From advanced avionics and a launch abort system to a spacious cabin and the ability to take both astronauts and cargo on the same vehicle, the Starliner is expected to provide a safe, reliable, and cost-effective transportation from America to the space station. Before you can become an astronaut and fly to the International Space Station or explore dazzling deep space destinations, you have to apply – and at the right time. 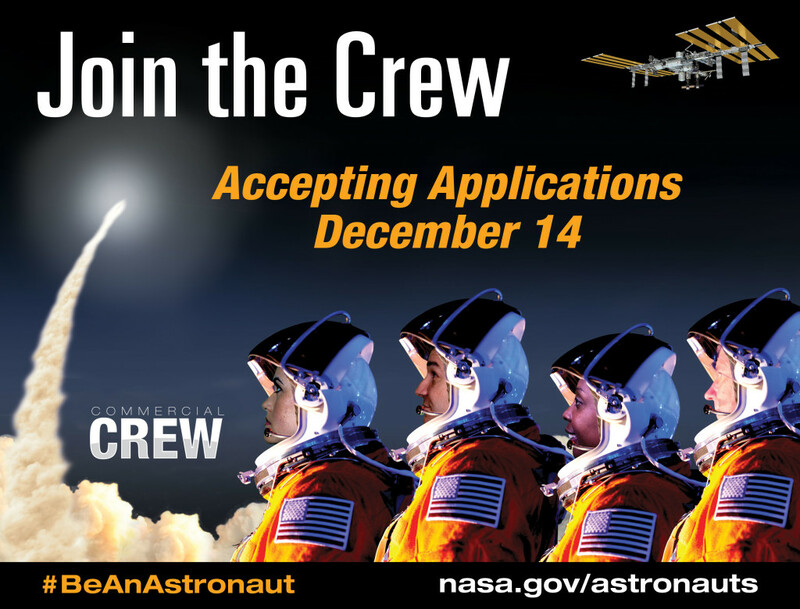 The good news is the right time is only about a month away – NASA will begin accepting astronaut applications Dec. 14. The requirements are available here now and the link to apply will be available when the application period opens on usajobs.gov. 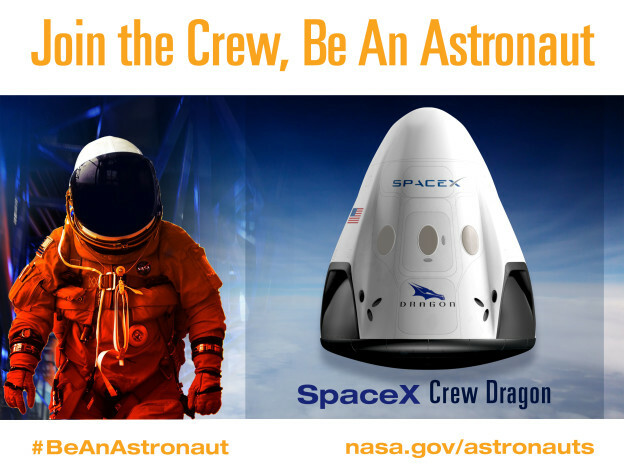 There may not be a better time to update your resume and take a leap into the world of professional space explorer! After all, NASA’s American aerospace partners are building a new generation of spacecraft for astronauts to fly to the space station and the agency has designed a heavy-lift rocket and vehicle designed to safely take astronauts beyond low-Earth orbit. In the words of NASA Administrator Charles Bolden, a veteran space flier, your spaceflight experience begins here. NASA hires astronauts from a diverse pool of applicants with a variety of backgrounds. Candidates from the last astronaut class included schoolteachers, doctors, scientists and engineers. The propulsion system SpaceX would use to power its Crew Dragon out of danger has been test-fired 27 times as the company refines the design for the demands of operational missions carrying astronauts to the International Space Station for NASA’s Commercial Crew Program. SpaceX evaluated the system utilizing various thrust cycles on a test stand at its McGregor, Texas, rocket development facility. 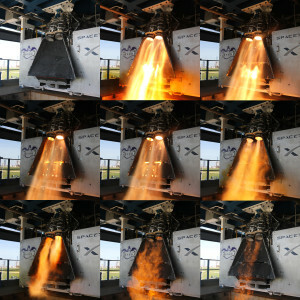 Named SuperDracos, the engines are arranged in four pairs – SpaceX calls them ‘jetpacks’ – integrated around the outside of the Crew Dragon spacecraft. 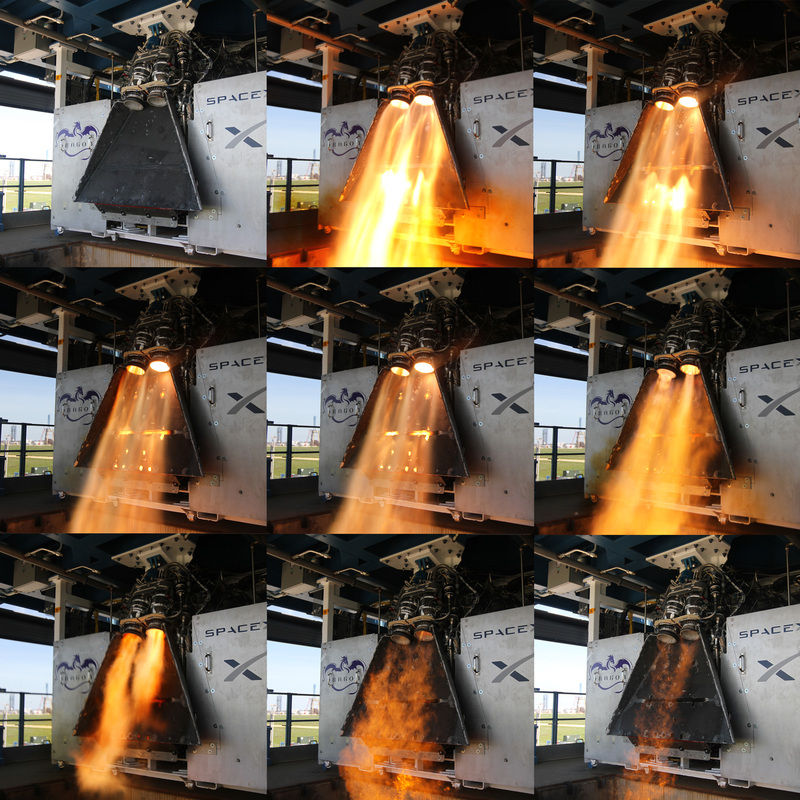 Firing all at once, the eight engines produce 120,000 pounds of thrust – enough power to accelerate a Crew Dragon from zero to 100 mph in 1.2 seconds. In the unlikely event of an emergency, that power means the ability to lift the crew a safe distance off the launch pad or far away from a booster failing on the way to orbit. That capability was demonstrated earlier this year in a pad abort test that confirmed the SuperDraco design in a flight-like condition. 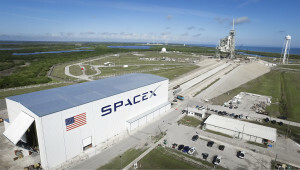 A normal launch of the Crew Dragon atop a Falcon 9 rocket would not offer the SuperDracos anything to do during the mission since their only responsibility is to fire in an emergency to rescue the crew onboard. Eventually, SpaceX plans to use the SuperDracos in the place of a parachute during landing. They use hypergolic propellants common in spacecraft thruster systems because the propellants ignite as soon as they contact each other. The engines are noteworthy for a number of reasons, including that they are built using 3-D printing methods instead of machining them from larger pieces. 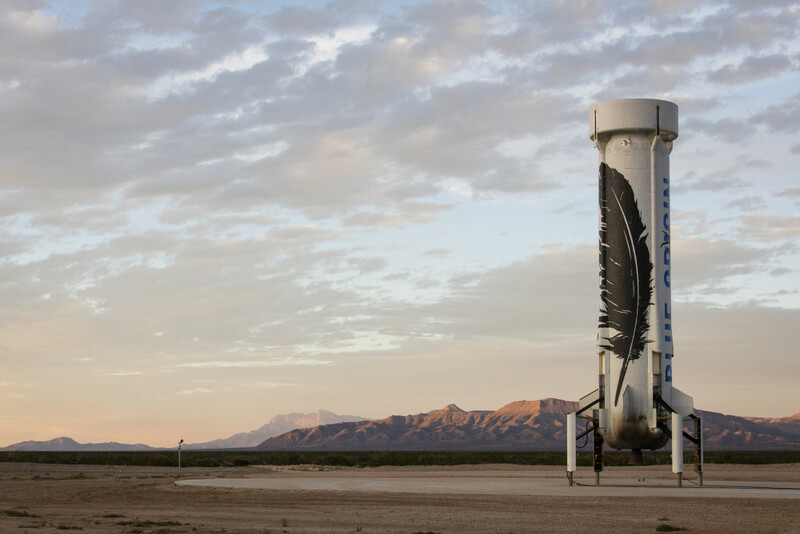 After the development cycle, the propulsion system and SuperDracos will continue evaluations at the company’s test stand to qualify them for use on operational missions. SpaceX and Boeing are developing a new generation of American-made, human-rated transportation systems capable of taking astronauts to the space station in partnership with NASA. 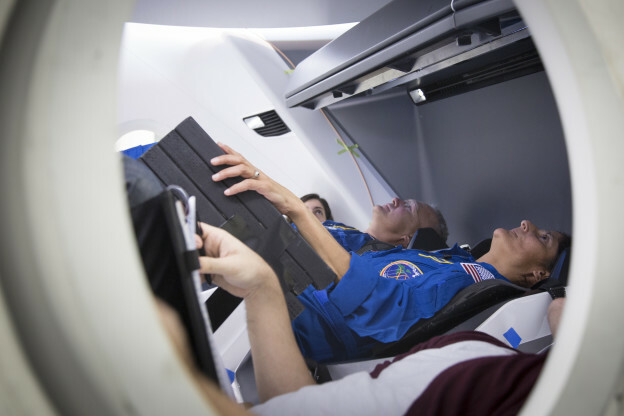 The Crew Dragon and Boeing’s CST-100 Starliner will carry up to four NASA astronauts at a time, which ultimately adds another crew member to the space station and will allow twice as much time for astronauts to conduct research aboard the one-of-a-kind laboratory. The Apollo spacecraft launched on the first all-up test flight of the Saturn V 48 years ago today to confirm launch loads and dynamic characteristics of the systems that would carry astronauts to the surface of the moon. The flight proved aspects of the Apollo heat shield and re-entry operations. Two years from now, at the 50th anniversary of that unpiloted Apollo 4 mission, as part of NASA’s Commercial Crew Program, Boeing’s CST-100 Starliner and the SpaceX Crew Dragon spacecraft will have undergone unpiloted flight tests to confirm their designs. Author Steven SiceloffPosted on November 9, 2015 Categories Boeing, CCtCap, Commercial Spaceflight, General, International Space Station, Kennedy Space Center, NASA, SpaceXLeave a comment on Happy Anniversary Apollo 4!